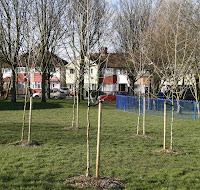 Ten Black Poplar trees have been planted in Worcester Park to commemorate the Queen’s Diamond Jubilee. 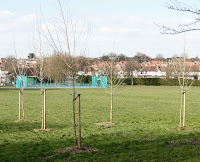 Five trees were recently planted in Dorchester Park and another five in Cuddington Rec. 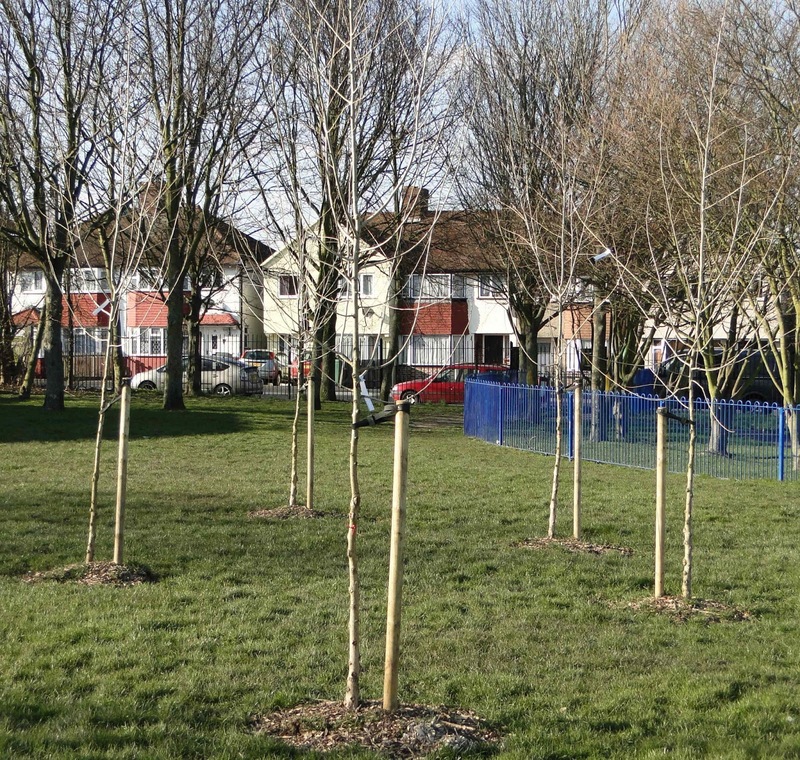 The decision to plant these memorial trees was one of the first taken by the newly reformed Worcester Park Forum and Councillor Stuart Gordon Bullock applied for the funding on behalf of the forum through the Council's Participatory Budgeting scheme. Local people voted for several applications including this one. 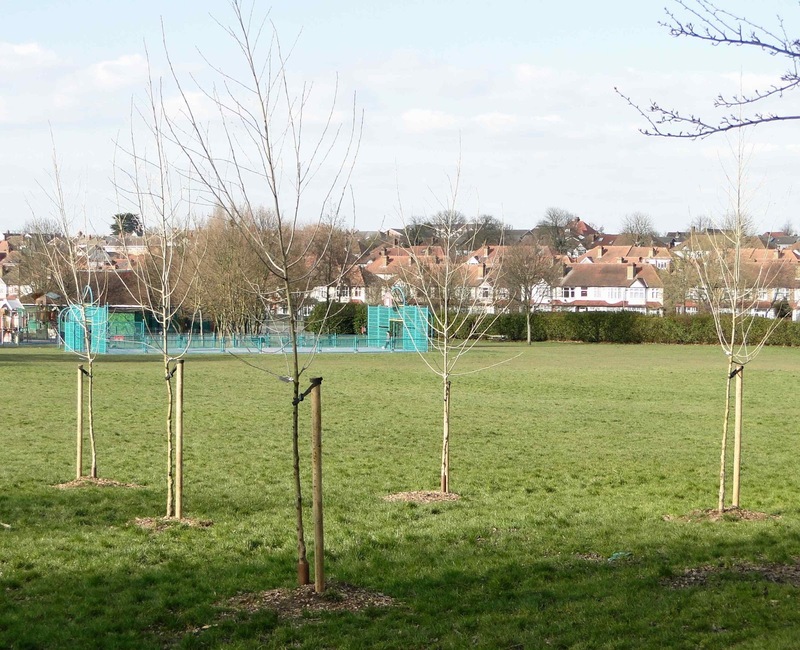 There were originally supposed to be six trees but Sutton’s parks department managed to get an extra four within the budget. These Poplars are apparently the Queen’s favourite species of tree but the male tree is preferred as the female trees drop a lot of ‘seed fluff’ in the spring.